A Victory V92C TC frozen into a block of ice four years ago has been thawed and restarted with a battery being the only new part needed. Perhaps even more impressive: the bike had more than 186,000 miles on the clock. 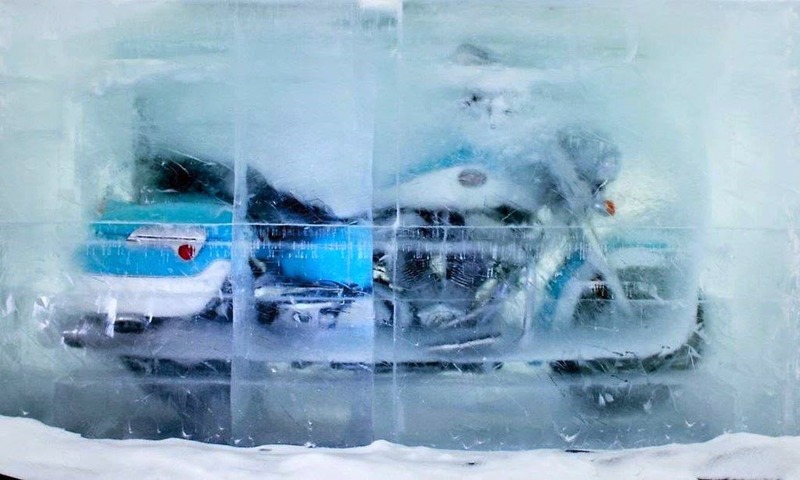 The Victory motorcycle had been purchased by Sweden's Icehotel and frozen into a block of ice in 2011. After four years, however, the hotel decided to set the block of ice out in the sun and let it thaw naturally. At that point, the bike was handed over to Victory's European division, who took it to Sweden-based Stonetown Customs for a tune up. After only an hour of work, which involved replacing the fuel, oil, air filter and battery among other things, the bike finally fired to life and was able to be ridden. Meanwhile, the 2002 V92C TC had suffered plenty of abuse even before it was given the Han Solo treatment. It had started its life as a "shaker" bike at Polaris' R&D facility in the United States. After doing the equivalent of 300,000 km (186,411 miles) on the shaker rig it had been shipped to Sweden to allow mechanics there to understand the workings of Victory machines. "That means the engine has probably been disassembled a couple hundred times," said Niklas Frisk of Victory Europe. Needless to say, Victory are delighted by the bike's incredible durability. The mechanics who helped bring the V92C back to life were equally impressed. "To torture a bike like this and it still works after being in ice and water for so long is really amazing," said Stonetown Customs owner Andreas Sedin.